Have You Heard About Rugby? Posted April 9th, 2019 by TheBuzz & filed under News from our Advertisers. In the last couple of years, the sport of rugby has taken the USA by storm. 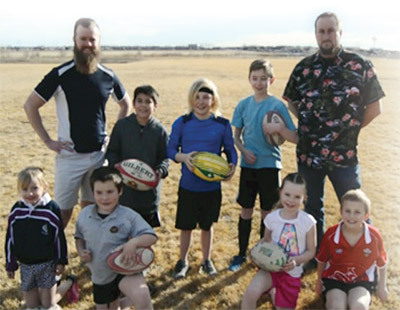 As a way to bring this exciting sport to our local community, Jeff McEntee and Damon Balcerak started Brighton Youth Rugby Association, also known as BYRA, from the ground-up in January 2019. Jeff and Damon have 20+ years combined experience playing and coaching rugby and have both achieved Level 200 coaching status with USA Rugby. USA Rugby is the national governing body for the sport of rugby in the United States. BYRA is a non-profit organization established for boys and girls ages 5-18 to play rugby in the City of Brighton and its surrounding areas, including but not limited to: Henderson, Reunion, Commerce City, Thornton, Fort Lupton, and Hudson. BYRA’s mission is to keep kids active outside and provide a safe and welcoming environment while also building strong character in our young athletes all while having a positive impact on the local community. BYRA has a youth league (flag rugby) for kids ages 5-8 and tackle rugby for ages 8 and up. BYRA currently has a boys high school team and is working to start a girls high school team in the near future as well! If your boy or girl would like to give this amazing sport a try, we invite you to come check out our FREE rugby camp on 4/6/19 or 4/13/19 from 3:00pm – 5:00pm at the Brighton High School fields. 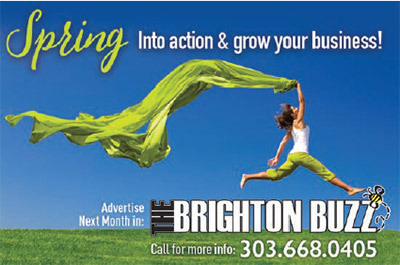 You can also check us out online at: www.brightonyouthra.com , www.facebook.com/BrightonyouthRA/ or email at: brightonyouthra@gmail.com.